This short ebook is an excerpt from a longer work, but it stands well on its own. The author takes a road trip to visit "land art" in the American west, and interweaves travel writing, personal essay, and art criticism in her account of the trip. 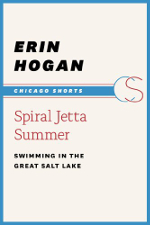 This excerpt covers her first stop, which is to see a piece called Spiral Jetty on the shores of the Great Salt Lake in Utah. I enjoyed the way the book helped me understand the art better, but it there is still a fair amount of art criticism jargon. I was able to make sense of it, and I think most other non-experts will, too. 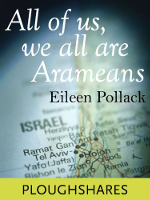 This book is a travelogue, the story of the trip one American Jewish woman took to Israel. She is somewhat ambivalent in her feelings about Israel, and is upfront about that, and one of the things we see in the book is her attempt to form solid opinions about the region and its conflicts. The tone stays one of a slightly introspective travelogue, not a weighty investigation of a difficult conflict, but one of the strengths of this book is how it shows the complexity inherent in any conflict that has centuries of history behind it. The author of this fascinating book is a German who travels to Lviv, in Ukraine, to try to understand its history, and specifically how World War II changed it and by extension the rest of the region. He makes his trip with a copy of the writing of an earlier German visitor to the city, then called Lemberg. The result is part travelogue, part history, and part personal meditation. It is well-written and an enjoyable read. Mara Altman sets off on a journey of discovery to India... but she's not trying to find herself. She is trying to understand why so many Westerners go to India to try to find themselves. The book manages to take the desire to find oneself seriously without taking itself too seriously, and the result is a fun read that sneaks in some thought-provoking ideas. This is a diverting short read about Agatha Christie's estate. Part history and part travel writing, this book is a fun and interesting read for anyone who enjoys Christie's books, or ever went through an "Agatha Christie phase." The book left me wanting to make my own visit to Greenway. This story is ostensibly about a man journeying into the jungle of New Britain island in search of a tree kangaroo... but that is just the pretext that sets the story in motion. It is really a look at one of the last places that can be said to be "off the map" and what drives people to explore it. 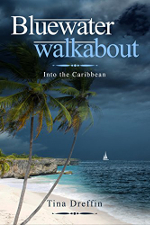 The description of the island and its history is interesting in its own right, but it is the characters that really make this book a great read. This is several stories in one: the story of the endangered Cape Mountain Leopard, the story of the scientist (Quenton Martins) who is trying to save them, and the story of the author's attempt to see one of these rare and beautiful creatures. This book is not easy to categorize, but in a way, that is part of its strength. It is about Cerro Rico, a silver mining mountain in Potosi, Bolivia, which has been mined since the time of the Conquistadors. The book looks at the mining operations and also at the tourism industry that has been developed to allow tourists to visit the mines and get a taste of the conditions under which the miners work. Zoellner weaves in a discussion of the larger phenomenon of "dark tourism" (visiting sites associated with death and/or suffering), as well. It is a thoughtful and thought-provoking book. This is a thoughtful and thought-provoking discussion of the debate around the reintroduction of the bear in the Pyrenees. Even readers who have never previously heard of the reintroduction program or the debate surrounding it will likely find it makes them re-examine their ideas about wildlife, human tradition, and man's place in the world. It is an even-handed discussion of the issue, which raises questions that are relevant in other contexts. This book is part travelogue, part thoughtful exploration of the issues around the proposed Keystone XL pipeline. It works well on both levels. The author drives the route of the pipeline, talking to locals and also bringing in his own research about the issues, but also clearly enjoying the excuse to explore a region that most people don't consider a tourist destination. Part travelogue, part exposition of the unusual beliefs of an interesting group of people, part recent history of a part of the world that most Americans probably couldn't locate on the map- this is a thoroughly interesting read.